Fresh off the case of a deranged student who murdered his landlady, noted police investigator Porfiry Petrovich barely takes a breath before a bizarre and very grisly double murder lands him back on the streets of the tsarist St. Petersburg he knows all too well. The sardonic sleuth follows a trail from the drinking dens of the Haymarket district to an altogether more genteel stratum of society-a hunt that leads him to a conclusion even he will find shocking. 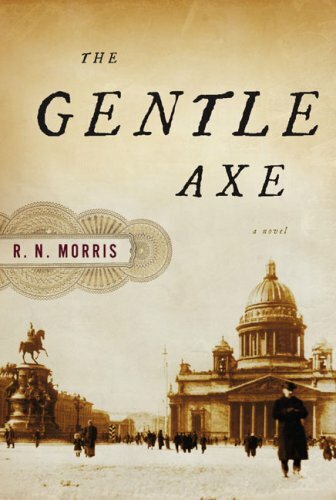 In the tradition of such first-rate historical novels such as <i>The Alienist</i> and <i>The Dante Club, The Gentle Axe</i> is atmospheric and tense storytelling from its dramatic opening to its stunning climax.